For those in recovery from alcohol and drug addiction, New York City can present particular challenges, given the hectic pace of life, not to mention the abundance of bars and other potential sources of temptation. For New Yorkers who have already undergone treatment but are concerned about relapse, or just seeking the support of people who understand what they've been through, a stay in a sober living residence may be a good option. Geared toward those who have completed some treatment for addiction (often a 30-day program, though some will have been sober for much longer), sober living residences provide structured environments for those under the supervision of professionals; while house rules vary depending on the place, abstinence from drugs and alcohol is essential. Halfway houses, by contrast, may be peer-led, with fewer services and less structure, though sometimes they are grouped together with sober living residences in directories. The New York State Office of Alcoholism and Substance Abuse Services has a search engine for treatment options here. Simply put, they help keep you honest. "Staying in a sober living residence can become an important piece of how people get well over time," says Christopher Yadron, executive director of the New York branch of the Hazelden Betty Ford Foundation, the biggest nonprofit addiction treatment provider in the United States. "Outcomes improve if you can extend the length of time that individuals are receiving support and services." Take Tribeca Twelve, which Hazelden runs. 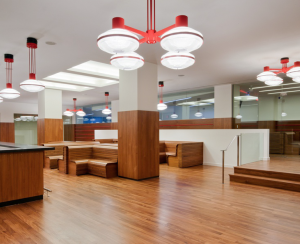 The downtown apartments serve men and women between the ages of 18 and 29, many of whom are attending college in NYC and in are need of a "dry" environment with supports in place. In 2013, a resident who twice had to leave college when his drinking got out of control explained to the Village Voice why living in Tribeca Twelve instead of a dorm was essential to his recovery when he decided to return to university for the third time. Access to counseling at all hours helped ease his anxiety, he said, and attending regular AA meetings in the residence gave him a sense of confidence and stability he'd lacked before. Yadron explains that Tribeca Twelve's approach emphasizes developmental goals like life skills, finances, conflict resolution, and relationship management. 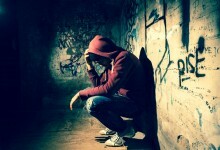 This is a significant aspect of recovery, he says, because of the way addiction hinders a person's emotional growth. "When emotions are blunted or expansive [due to substance abuse], you need help and support with social relationships, and learning what to do in the context of a community," he says. At Harrison House, a sober living facility for men on Staten Island, executive director Kevin Van Name says a strong sense of community—and the assurance of a drug and alcohol-free home—is what brings in many of the residents. "Some people come from long-term treatment, some come from 30-day programs, and some have been clean and sober," Van Name says. "In NYC, it's hard to find a clean rooming house, and they want to be in a building where there's no nonsense." While many live at Harrison House for the short-term, there are those who have been there for years. "The disease of addiction is like cancer," Van Name says. "It goes dormant, but it doesn't go away. Here, they have someone to talk to, instead of being alone in an apartment stuck in their own minds, lonely and depressed." With the companionship and support sober living houses provide come responsibilities: Van Name says Harrison House residents have a curfew and chores, and are expected to attend outpatient treatment or meetings. A house manager and general manager are on hand to help connect residents to these kinds of resources. At Tribeca Twelve, residents are expected to spend 25 hours per week engaged in structured activities, whether it's work, school, volunteering, or sober recreation. Most are enrolled in individual or group counseling, and there are mandatory house meetings where residents can talk about needs and issues, as well as celebrate recovery milestones. Relapses do happen—according to American Addiction Centers, between 40 and 60 percent of addicts will relapse—and at Harrison House, residents who fall off the wagon have to leave the building immediately. Living in a major city like NYC means being surrounded by ample opportunity to relapse, but Yadron says there are positives to being immersed in New York life, too. "There are triggers for use in an urban environment that can be problematic," he acknowledges. "But if they intend to remain in an urban environment, what better place to have structure and support? If you send someone away for treatment and then they have to re-enter the real world, it can be so stressful." 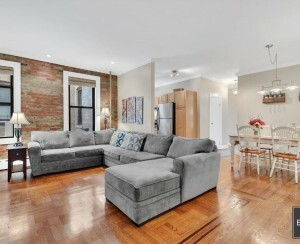 Many of NYC's sober living houses ease the stress of urban life with cushy decor and high-end amenities. The Penthouse, for instance, touts its exclusive, luxury accommodations; the space boasts private balconies, meals cooked by a professional chef, whirlpool tubs, and office spaces. 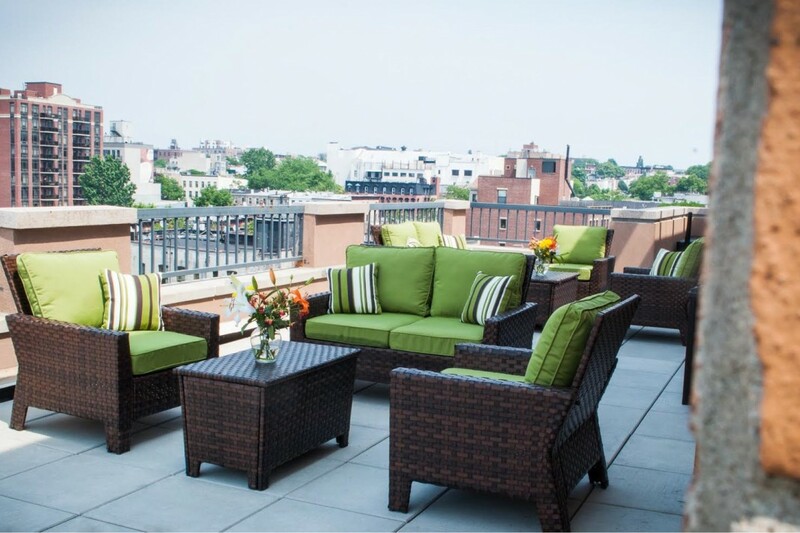 Serenity New York operates five sober living residences in the city, with perks like terraces, spa bathrooms, and organic meals. The high-quality (and sober) living comes at a price. At Tribeca Twelve, Yadron explains, residents' insurance covers treatment but not the cost of housing, which the Village Voice article pegs at $5,500 per month. Yadron says that the foundation raises $10 million annually to help offset these expenses and offer scholarships to residents, who meet with case managers to determine their financial eligibility. The facility can house up to 30 people on its five floors, which are separated by gender. The astronomical costs have left some people unsatisfied. In 2011, the New York Times visited a "hipster rehab" sober living house in Williamsburg where one former resident complained about the steep expense, implying he had thrown away $10,000 on an unproductive stay. Harrison House, by contrast, has fewer frills, so single rooms in one of its six separate houses only cost residents $650 per month. But even this, Van Name points out, is out of reach for many low-income New Yorkers in recovery. As a result, he says, some sober living houses will "stockpile" people, packing several to a room to earn enough to stay afloat. "The city doesn't help out [people in recovery] with housing," he says. "They'll pay for treatment rather than housing. We believe in the full continuity of care and the government doesn't." Without the option of continuing to receive support via options like sober living, Van Name says, there's a lack of a smooth transition for people in recovery who have completed inpatient treatment. 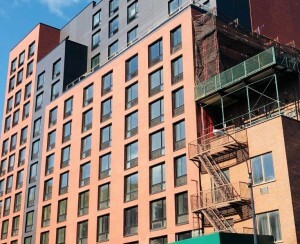 At places like Harrison House and Tribeca Twelve, meanwhile, residents can form connections and feel a sense of emotional safety. "We have a good success rate, but it's what you make of it," Van Name says. "We point you in the right direction."